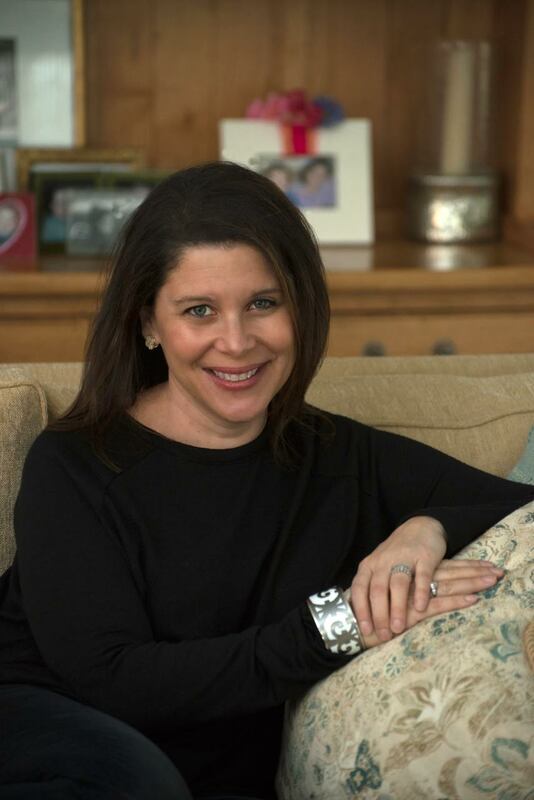 We are thrilled to have Lynda Cohen Loigman back at CLC today to celebrate the publication of her sophomore novel, The Wartime Sisters. Melissa A loved this novel and is excited for you all to check it out. Check out her review! Lynda has one copy to give away, along with copy of her debut, The Two-Family House. What is something you learned from writing The Two-Family House that you applied to The Wartime Sisters? So many things! Writing The Two-Family House and seeing the story make its way from my laptop to readers was a tremendous education – not only about writing, but the publishing process as well. In terms of the writing itself, I’m hoping to improve with every book going forward. I’m hoping to write better characters, more relatable moments, and to focus in on my voice. I’m trying to push myself so that I can match my writing to my ambition. By that I mean that I have a lot of ideas for stories in my head – ideas that will involve a lot of work and time, and that I’m not sure I’m a good enough writer to pull off. But I really want to make each book a broader achievement than the last. In many ways, The Two-Family House was a very small story. It involved one family, one house, and one setting. 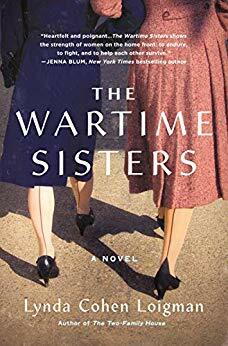 With The Wartime Sisters, I tried to expand the world of my narrative. I dug deeply into my research, and I think the result is a more complex story. In terms of one specific lesson I learned, publishing my first book taught me about the danger of confusing readers. People say not to read reviews on Goodreads and Amazon, but I honestly read as many as I can – good or bad, I find them incredibly helpful. With The Two-Family House, the most consistent criticism came from readers who said they figured out the “secret” right away. I had always assumed the secret wasn’t a secret at all, and that readers would guess it just from the book jacket. But somehow, that wasn’t what several readers thought. They assumed the big secret was exactly that, and that making it obvious was a flaw in the story. As I wrote The Wartime Sisters, I tried to be very careful to reveal information to the reader in a much more controlled way in order to avoid that kind of confusion a second time. What is a favorite compliment you've received on your writing? One of the best things about writing The Two-Family House was receiving emails from readers. People wrote to tell me how the book brought back memories of their own childhood, how the characters reminded them of their own relatives, and how they could see themselves and their families in the pages. I found those comments to be particularly moving because it meant that the story truly resonated with them. Knowing that people connected to my characters was incredibly special. If you could cast The Wartime Sisters as a movie, who would star in the leading roles? I just finished watching the second season of The Marvelous Mrs. Maisel, so it won’t surprise you to hear that I would love to see Rachel Brosnahan as Millie. She’s been a redhead before, and I think she’d be fantastic. Elisabeth Moss (from The Handmaid’s Tale) would be a perfect Ruth because she’s able to go to a very somber and serious place with her acting. I’d love to see Michelle Williams as Lillian, Broadway star Lindsay Mendez as Arietta, and Kate Bosworth as Grace. Darren Criss would make a wonderful Lenny, and I’d pick Max Irons for Arthur. What is a new year's resolution you try to stick to every year? Aside from diet and fitness goals, I always promise myself that I’ll be more present with the people I love and try to worry less. I’m still working on all of that! What music are you currently listening to on repeat? Nothing beats Sunday mornings. If I’m lucky, somebody else gets up to walk the puppy, and I get a few extra minutes to read in bed. There is always a lot of coffee and I don’t get out of my pajamas until the afternoon. Thanks to Lynda for visiting with us and sharing her books with our readers. Giveaway ends January 27th at midnight EST. I am not very close with any of my sisters except one. I am proud of her and how she changed her life around. She may struggle financially and with her health, but she still tries to stay positive and in control around people. I don't have sisters, but I have two sisters-in-law and love that they are like sisters to me. We always have fun together! My sister is my best friend. I can count on her at the worst times. I am not close to my sister even though I have tried very hard to have a meaningful and warm relationship. I have tried for years but she is incapable of caring and showing kindness and love. No sisters. Middle child with two brothers. I like the sisters in Little Women. In spite of their differences, they love each other. My Sister is my best friend. She is always there for me. My sister is always there for me. I love my sister and books about sisters. I don't have a sister but my best friend of almost 30 years is like a sister to me. I like the March sisters in the book Little Women. I agree with the sisters from LITTLE WOMEN. Always fun, or sad, to read. I always loved the Brady Bunch and wanted to be Jan.
My sister and I are close we're always there for each other. No sisters - but I wish I had one! I love the sisters in Full House! I love historical fiction! And I dont have any siblings, but I have adopted a few people I love like siblings because I hate being an only child. I don't have any sisters but I love the sisters in Sense and Sensibility. I don't have any sisters either. I like the sisters on The Brady Bunch. My sister is through marriage -- sister in law -- but we're really close. I'm so lucky to have her. I have five sisters and I love them all because they are my best friends! I have two sisters. I wish we were closer. I really do.